Winter can be hard on your hair. The gusty frost-filled air and dry indoor heat have a way of leaving follicles parched, brittle, and in need of serious repair. 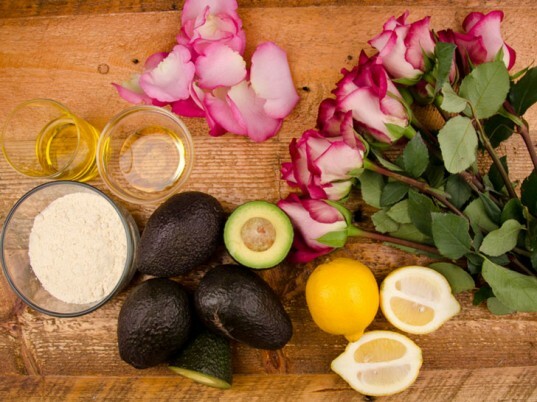 To soothe, soften, and restore tired locks, Helen Ambrosen, product inventor at LUSH Cosmetics, devised a nutrient-rich hair mask you can easily whip up in your kitchen. 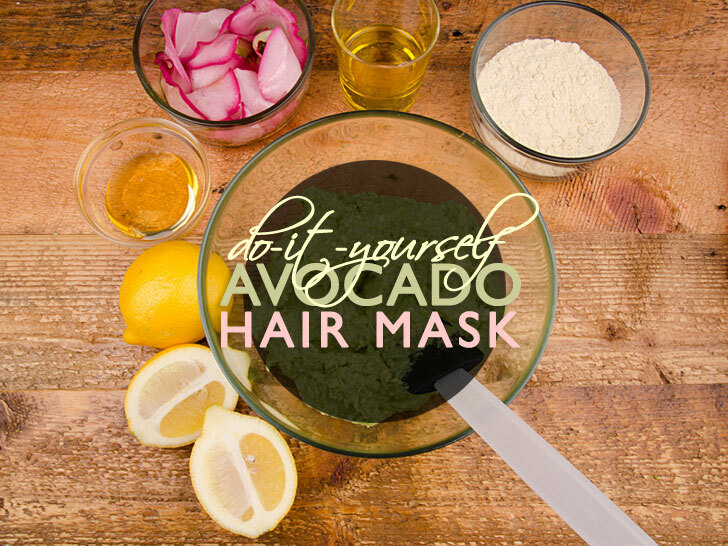 Packed with hair- and scalp-coddling fatty acids and enzymes from fresh ingredients such as avocado, olive oil, and honey, this do-it-yourself treatment will bring your hair back to life with plenty of shine to spare. 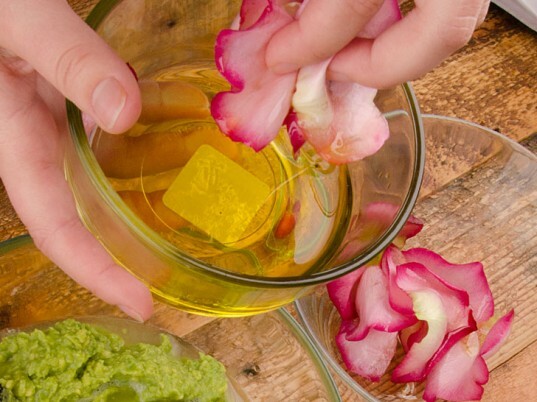 Take a handful of rose petals and soak them in 3½ tablespoons of olive oil overnight to create a scalp-soothing infusion. You can also use jasmine or lavender for their softening effects, or rosemary or thyme to tone the scalp. 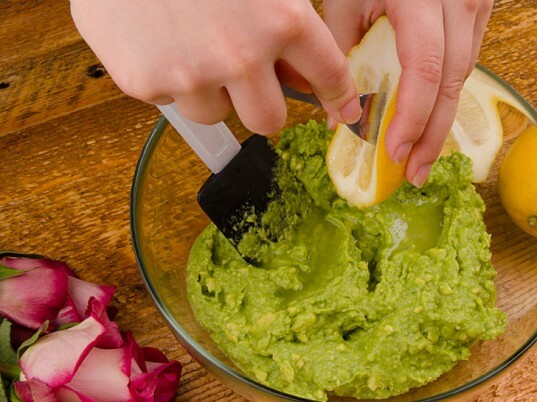 Mash three to four ripe avocados in a medium-sized bowl. If the mixture is too lumpy, press it through a sieve for a smoother consistency. 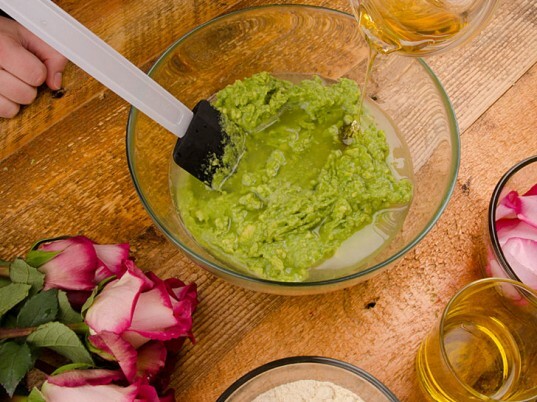 Once ready, remove the rose petals and pour the oil through a sieve to collect the petals or sprigs. 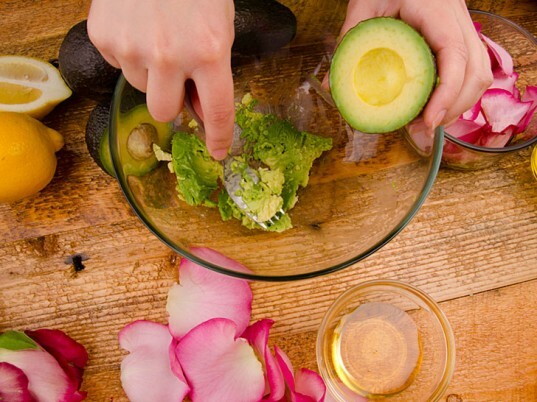 Add the rose-infused olive oil to the avocados and blend it into the mixture thoroughly. Squeeze the juice of two lemons (watch out for seeds! ), and 3½ tablespoons of honey to the preparation and mix well. 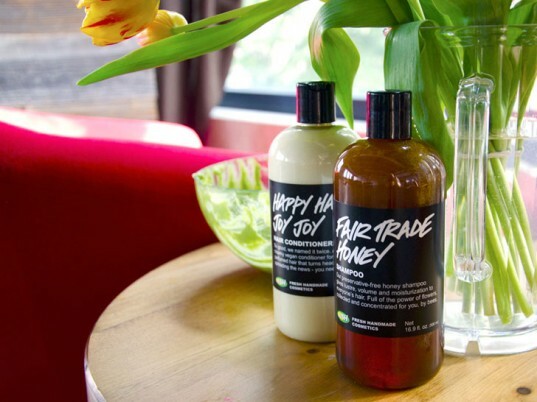 Lemon juice adds loads of shine while honey is supremely moisturizing on the hair and scalp. Slowly add millet flour—it’s super-nutritious—and stir until the mixture turns into a paste. You can also use barley or wheat flour, or finely ground oatmeal. 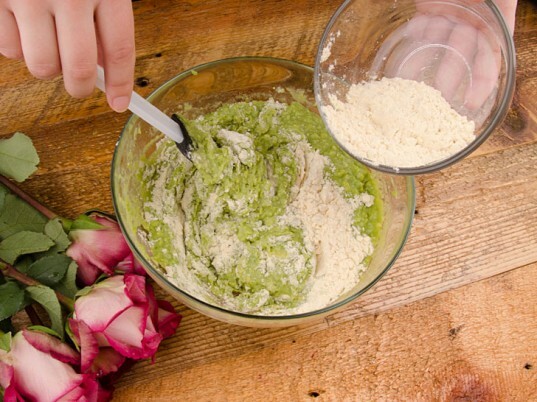 The flour helps to soften and cleanse the hair, and absorbs sebum on the scalp. Apply generously to dry hair in sections with your fingers, massaging into the scalp and roots of the hair, too. Wrap in plastic wrap or apply a towel around the hair and leave on for 10 to 15 minutes. Hop into the shower and rinse well, following with shampoo and conditioning just the ends of your hair. Rinse again, and dry as normal. The final step? Admire your soft, shiny hair! Thank you very good mask. 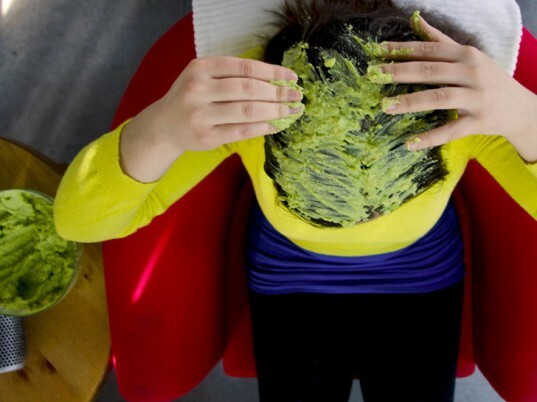 Hi, Avocado is an excellent hair mask. It moisturizes the hair and makes the hair very soft.